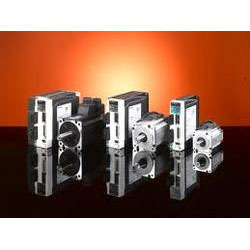 We are one of the well-known names in the industry engaged in offering Panasonic Servo. Manufactured at par with the international quality standards, the range w offer completes all the testing stands after the re-built of servo motor and servo drives. We can assure fastest turnaround time in any repair. To ensure reliability of these services, we have Servo Motor Repair facility enabling us to repair all types and makes of servo motors such as DC and AC servo motors, spindle and stepper motors. If you are looking for panasonic servo drivers, please call us . 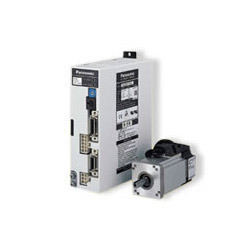 We will do our best to help you find the panasonic minas servo drives that you are looking for at the most competitive prices possible. We have Refurbished panasonic Minas S Series servo drives and motor and we provide repair and maintenance. Ensures smoother operation and reduced vibration while maintaining position as well as accurate positioning within a short setting time. We have achieved the industry's lowest clogging* by utilizing a new 10-pole rotor design and a magnetic field parsing technique. Positioning and stability are greatly improved with the result of minimal torque variation. This results in improved speed stability and positioning. incorporates the industry's quickest high-performance real-time auto-gain tuning featuring simple setup. After installation, tuning will be completed automatically after few operations. These filters will automatically detect vibration and provide simple auto-setting. These filters greatly reduce noise and vibration. Achieves the industry’s fastest frequency response of 2.0 kHz*. This allows a highly advanced system to be created that achieves the industry’s fastest speed and positioning response. If you are looking for Panasonic servo drivers, please contact us. We will do our best to help you find the Panasonic MINAS servo drives that you are looking for at the most competitive prices possible. Precise control of position control at incredible prices! Servo Motor at Stepper Motor Prices can now be achieved with advanced yet cost-effective technology from Panasonic. servo products at extremely competitive prices. products have been successfully applied and proven in thousands of applications such as electronics equipment, analytical and medical instruments, assembly, semiconductor manufacturing, packaging, engraving, texitile equipment, robotics and pick-and-place devices. 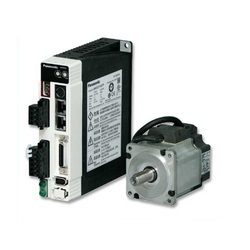 if you are looking for Servo motor and drivers, please call us . We will do our best to help you find the servo that you are looking for at the most competitive prices possible. 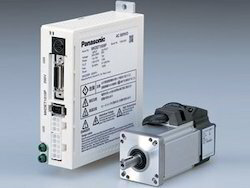 Looking for Panasonic Servo Motor Drives ?